Have you ever felt unsure of where your data belongs? 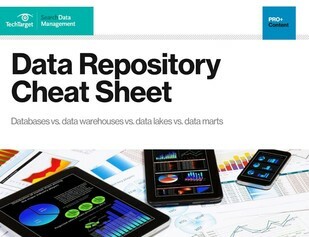 The repository you choose makes a big difference in how well you can leverage that data down the line. For example, relational data from transactional systems should go to a data warehouse – but relational data subsets for specific applications is best for a data mart. Our printable Data Repository Cheat Sheet can answer all these questions for you in an easy-to-understand chart. To get your own copy, take our multiple-choice survey on data management tools. Once you have this, you’ll never feel confused about where certain types of data belong ever again.